Langley Childcare Provider Provides Insight into Electronic Devices at a Young Age. In this day and age, kids are onto electronic devices more than ever. And it seems like the age they are starting to use them at keeps getting younger and younger, some as young as two. It does not take long before children begin to reach for any and every kind of electronic gadget that you have lying around. And no matter how hard you try, they can always seem to tell the difference between a fake and the real McCoy . Just because toddlers or infants enjoy pushing buttons (including your own at times), does not mean they are ready to be introduced to the world of digital. 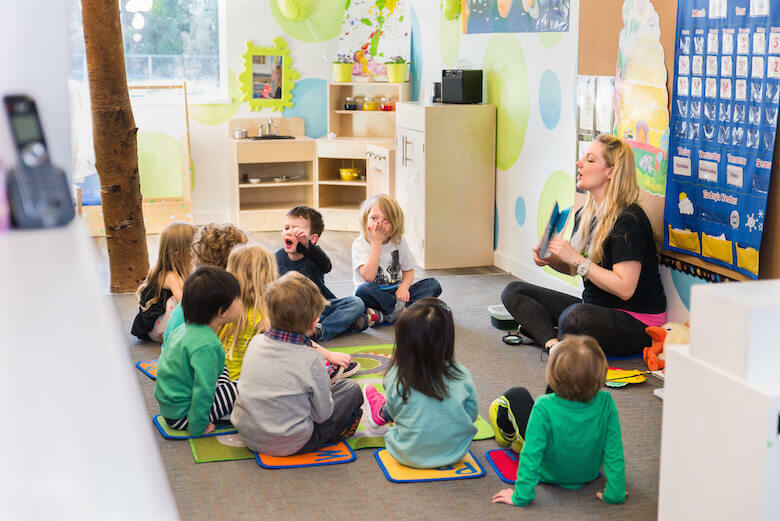 Dr. Caroline Jaynes, learning designer for Leapfrog advises that toddlers under the age of two will learn best from real-world interactions and experiences instead of a digital device. Every minute they are away from a real-world environment (playing on some type of digital device), is time away from exploring the world by using their senses. At such a young age, this is extremely important. Some of the educational tools on tablets and smartphones may have some benefits. Kids as young as four or five have the ability to engage in learning activities, providing this is within a supervised environment. If the environment is unsupervised, a smartphone or tablet should not be considered until between the ages of 11 and 13. It has been strongly recommended that at such a young age, parents be very involved in the experience with a digital device, and they monitor the amount of usage. It has also been strongly noted that an electronic device (smartphone or tablet) should never replace spending time with your child reading a book or playing outside. It should also not be considered as a babysitter. How often have you seen a daycare put a child in a corner with an electronic device? The recommended amount of time, according to an article over at PBS.org, for a child four to five years of age is no more than a half our per sitting. Even high school students should not spend more than 2hrs a day (http://www.pbs.org/parents/childrenandmedia/article-when-introduce-child-smartphone-tablet.html). Our Langley daycare team found another article over at npr.org that advises too much screen time may inhibit their ability to recognize emotions. This comes from research report out of the University of California found here. The Langley Rainforest team further discovered that according to the American Academy of Pediatrics (https://www.aap.org/en-us/advocacy-and-policy/aap-health-initiatives/pages/media-and-children.aspx)studies), excessive media usage may lead to difficulties in school, attention problems along with sleep and eating disorders. We should be limiting screen time, particularly to even toddlers (which we have seen), and focus more on books crafts, games and discovering their world. As a childcare provider in Langley, we care about our kids and hope some of this research puts a little bit of light on the subject and importance of electronic devices and kids. For the first couple of years, the brain develops at an extremely rapid rate and children do their best learning by interacting with people. For infants and toddlers under the age of two, television and other forms of media should be avoided. Our Langley Rainforest Childcare location researchers enjoy looking for information to help parents. In this day and age of dual-working parents, it can be difficult to take time to research information on safety and safety tips for your family. We recognize that not everyone has this kind of time and therefore strive to try and help our parents with briefings of information to help them out.